Sometimes we think of Dubai as a distant world. How else can you explain the things which can be found only there? 30. A PlayStation made of gold. For those who have everything. 29. Maybe a cappuccino with golden foam is even better? 28. And how about a Jacuzzi amidst the clouds? 27. They’ve probably got time machines in Dubai. How else can you explain spaceships on the roads? 26. A leopard cub takes the place of a lapdog in a car. 25. And tigers are just pets. 24. This lion wants his master’s attention, just like any other house cat. 23. A 350-pound gold brick in a shop window. What a nice home decoration! 22. You can be stopped on the roads of Dubai…but not by the police. 21. Did you call for a taxi? 20. Starbucks is a fashionable restaurant here. 19. Teeth shine white…or gold. 18. Actually, they have everything made of gold there. Even discounted phones. 17. Just curious. Which is more expensive: the car or its license plate? 15. …or a canvas for children’s drawings. 14. We go shopping for fresh food, and they…for gold. 13. 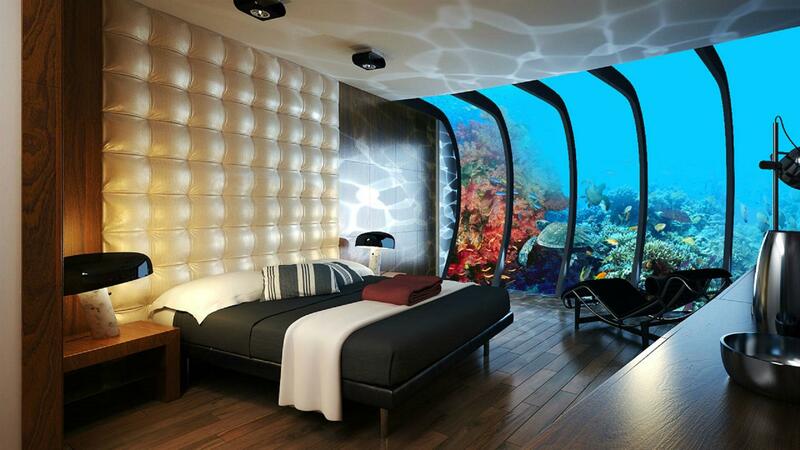 An excellent solution for giving every hotel room its own aquarium. 12. They use the most exotic means of transport. 11. And the airplanes accept all types of passengers. 8. And camel milk chocolate is also a common item. 6. …and become a big dolphin yourself. 5. What’s more, you can even fly there! 4. Just save face when paying the bill. 3. Everything is designed for your convenience. Urinal units with touch screens, for example. 2. Is a floating villa too much? 1. And if you want to go kayaking, by all means, come to Dubai.